In the last several years, the religious freedoms of members of the military have suffered an almost constant threat of restriction and reduction. 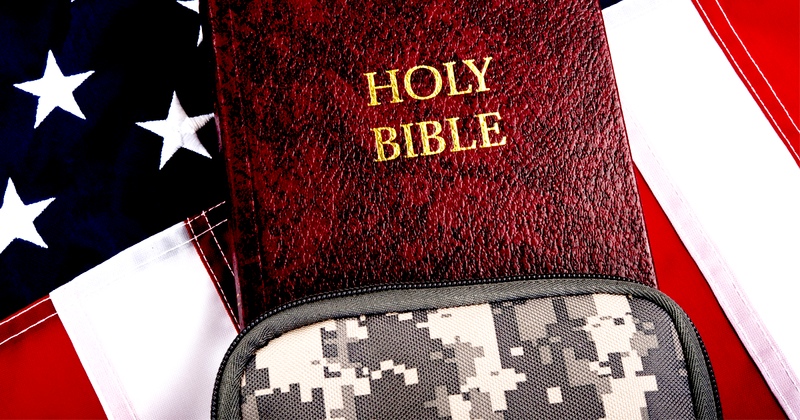 There have been several private organizations, including Family Research Council, and members of Congress who have worked to preserve the religious freedoms of those serving in our armed forces. One of the stalwarts in this endeavor has been Congressman Randy Forbes of Virginia. Mr. Forbes is leaving Congress at the end of this term, and the Chaplain Alliance for Religious Liberty (Chaplain Alliance), a group dedicated to protecting the rights of military chaplains, chose to honor Mr. Forbes for his service to the nation at a private, after-work event on July 12, 2016. In attendance were several uniformed military chaplains. They included the Chief of Chaplains of the Air Force, Maj. Gen. (Chaplain) Dondi Costin, who delivered a benediction while in uniform. Several members of the House and one United States Senator were also in attendance. Photographs of the event were taken and posted online. This allowed anti-Christian activist “Mikey” Weinstein an opportunity to attack Maj. Gen Costin and two other chaplains for their participation in the event by filing a complaint with the Inspector General of the Department of Defense, Glenn Fine. With typically histrionic and excessive rhetoric, Weinstein asked that all three be formally disciplined. Weinstein presents a pretext for attacking Rep. Forbes and the event based on the Congressman’s opposition to the repeal of “Don’t Ask, Don’t Tell,” and his orthodox Christian beliefs about sexuality and marriage. Given Weinstein’s longstanding track record of anti-Christian animus, his raising of LGBT issues is mere window-dressing. Forbes could have opposed funding for dog parks in Katmandu, and that would have served almost as easily in Weinstein’s mind as a pretext for his attack. I point the reader to a nicely crafted blog post by attorney and former law professor Skip Ash who runs through the constitutional arguments involved and finds them, as with most of Weinstein’s hackneyed arguments, to be without merit. What is of particular note is Weinstein’s complete and utter lack of perspective. Does he honestly believe that a retirement-type event honoring a member of Congress who has supported the needs of chaplains would not be attended by appreciative members of the military chaplaincy? Is he really so misguided as to think that the DOD IG is going to state that military chaplains attending a retirement event for a member of the House in the company of other House members and a U.S. Senator is a punishable offense? Sadly, he appears to be. It isn’t exactly clear what Weinstein thinks chaplains should be doing. He has repeatedly complained about the public expression of Christian faith in the military. To me, this seems like the perfect event at which chaplains are entitled to work as men and women of the cloth and servants of the people. As a deeply concerned citizen, I am calling on leaders in Washington, D.C. to stop these unprecedented attacks on military members exercising their freedom of religion and expression. Our servicemen and servicewomen put themselves in harm’s way to protect our freedom and God-given constitutional rights. It’s time for you to protect theirs! Help protect our chaplains in their important work, and sign the Chaplain Alliance’s petition today.